If the "Big Four" telcos -- AT&T (T), Verizon (VZ), T-Mobile (DT) and Sprint (S) -- are to be believed, soaring cell phone bills could be in our future -- if their requests aren't met. According to The New York Times, cell phone providers are using this fear tactic to lobby for greater slices of the radio spectrum (a bundle of radio frequencies controlled by the federal government). Bandwidth on wireless networks is increasingly strained. Not only is the number of mobile data users rising, but so too is the number of devices they're using. A growing number of people carry both an smartphone and a tablet, both of which tap into the limited capacity of this bandwidth. Add to that the growing number of data-heavy uses for these mobile devices (such as streaming video) and you can see why these cell phone providers are clamoring for more slices of the spectrum. Likewise why they might suggest that, simply based on the laws of supply and demand, if they don't get more, they'll have to raise rates for what they have. But is more spectrum really the answer? Martin Cooper, the inventor of the cell phone, doesn't think so. As he told the Times, "Every time there is a problem of getting more spectrum, there is a technology that comes along that solves that problem." True, gaining access to more spectrum is the easiest solution for the cell phone providers, but he's convinced more advanced antennas or technology to transfer mobile traffic to WiFi networks "could multiply the number of mobile devices that carriers can serve by at least tenfold." Since Cooper serves on the technical advisory committee of the FCC (the government organization in charge of divvying up the radio spectrum), his opinion has serious sway. So Is Your Cell Phone Bill Going to Soar? Especially because the only reason why they want this extended spectrum is because it continues to ensure the monopolies they have. Clearly, this is not a goal the FCC will want to dole out more spectrum to support, which is why Cooper -- along with so many other industry insiders -- is so adamant that these cell phone giants figure out innovative ways to make do with the spectrum they've got. For investors, this is an interesting development in the wireless industry. It's especially exciting for shareholders of the largest and most profitable wireless tower operator in the United States -- which also boasts an expanding global presence. 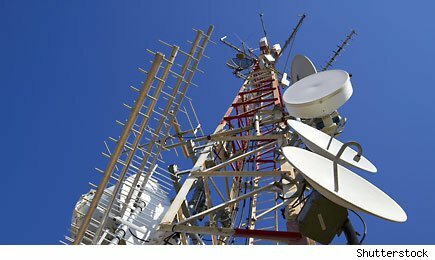 Because regardless of which technology cell phone providers adopt, this tower company will continue to cash in as cell phone providers continue to lease a growing number of spots for varying technologies on their towers. Motley Fool analyst Adam J. Wiederman owns no shares of the companies mentioned above.